Beginners to twitter can use the tips below to get their first 100 followers and start their twitter journey with a very good foundation. Twitter has more than 284 million active users per month and according to official statistics their network generates an incredible amount of 500,000 million tweets per day. The numbers are so big that cannot be ignored by any marketer. So, if you are not into twitter, it’s never too late to get started! The following actions are proven to help you get more followers on twitter. What you should know in advance is that social media marketing is an easy but very time consuming task. At the end of the day your success or not with twitter or any other network depends on how much time you are willing to invest working with your social media profiles. #1 – Add a real photo to your profile – This is necessary to differentiate your account from fake or automated twitter accounts. A real photo is a signal of trust and it’s easier for people to follow you. #2 Add a bio – Don’t just say “I like twitter” or something that is too general but try to write something unique and meaningful in your bio that will help other people understand more about you and most importantly what to expect from you. #3 Follow the leaders in your industry – Once you create a new account twitter will ask you to follow some accounts. Make sure that you follow the people/companies that are considered leaders in your industry. Most probably they will not follow you back but it is a good starting point to start engaging with others in your industry. #4 Start following others – Search twitter and find people that you believe are interesting and a good fit for your account and follow them. It is statistically proven that 20% will follow you back. This means that if you follow 100 people, 20 will become your followers as well. This also means that at some point you also need a way to ‘get rid’ of those 80 that are not following you because once you reach the 2000 limit, you will not be able to follow any other people until your followers are close to that number. Hint: Tools like manageflitter can help you find out accounts that you follow but are not following you back. #5 Use hashtags – Hashtags have many uses and one of them is to make your content easily discoverable on twitter and the various tools that crawl twitter content. If you are not familiar with hashtags, a hashtag is a single word added with a # symbol at the end of a tweet. For example this is a tweet with the ‘hosting’ hashtag. When this tweet is posted in twitter, it will appear in the twitter search results when people search for ‘hosting’ or ‘#hosting’. For a more complete guide on how to use hashtags, read this nice guide from buffer. #6 Use images in your tweets – Twitter is not only for posting 140 characters text but you can also upload photos and even videos through vine. When you upload an image, twitter will include the image link in your tweet and also show the image in the twitter timeline. Tweets with images get 2X more engagement than text tweets. #7 Re-tweet popular content – Content that is already popular on twitter is more likely to get re-tweeted by your followers as well. By retweeting popular content you increase your chances of being found by users looking for that content and also it makes your profile more interesting for someone to follow. #8 Optimize your content for twitter – Besides sharing and tweeting other content, you also need to make sure that you content is optimized for social media sharing. A well thought content marketing plan with original and useful content can generate great results in social networks and especially twitter. #9 Add twitter buttons in your website – Adding the ‘Follow me on Twitter’ buttons on your website or blog makes it easier for twitter users to follow your account if they like what they read. You can also add the ‘Twitter sharing buttons’ to help them share your content easier. #10 Time matters – Try to use twitter during the time your followers (or potential followers are online). 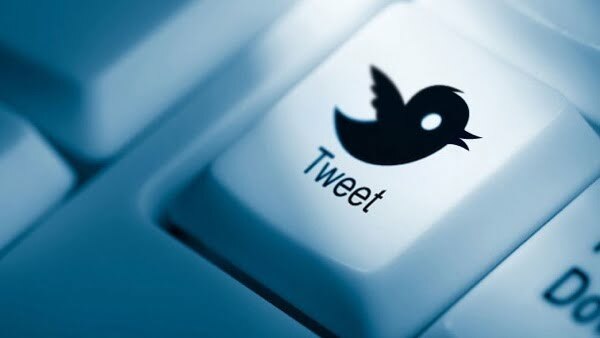 Tweeting during those hours increases your chances of getting noticed and followed. Conclusion – How easy is to get your first 100 followers on twitter? Getting 100 followers on twitter is very easy. Once you start using twitter you can get to 100 followers in a few days. What is important to remember is to play by the book and not violate any twitter rules that can get your account banned.